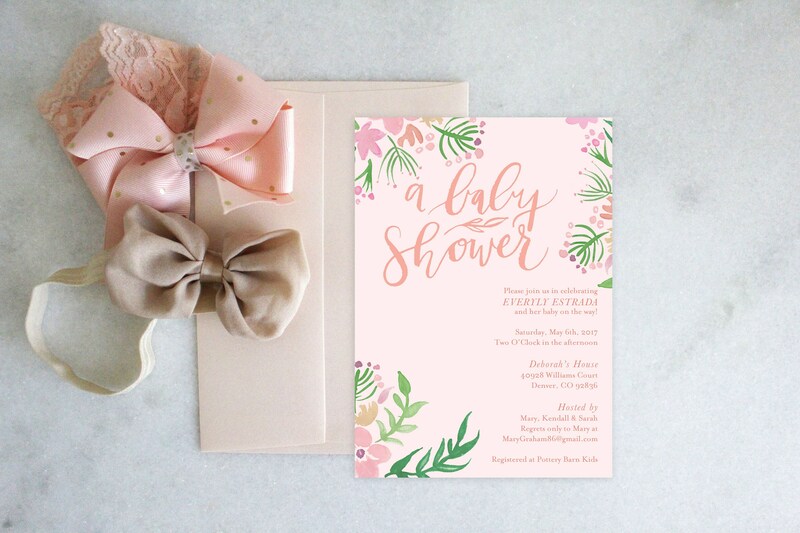 This bridal shower invitation has us saying 'I do' to thinking floral! 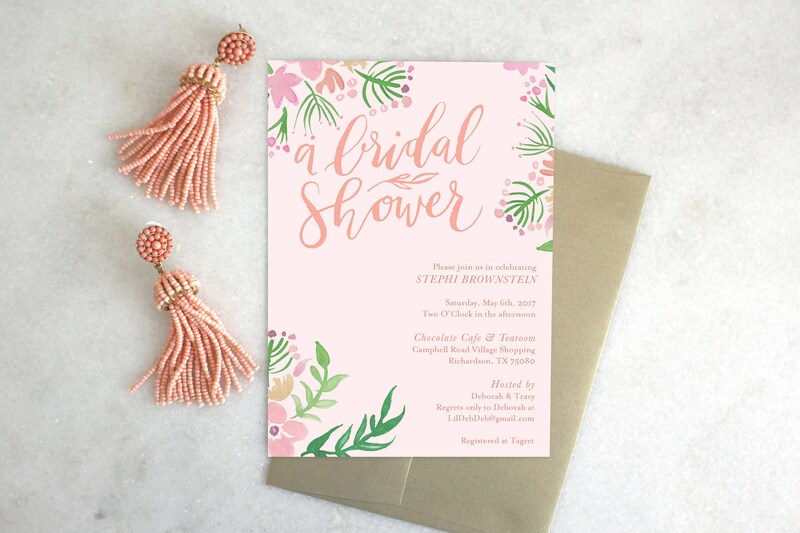 Lush greenery with pink & coral. Works well for either a bridal or baby shower! #partytip : Flower crowns are always a good idea! Try spray painting mason jars coral and filling them with greens and pink flowers.